The selection of subjects according to the Classification ranges over all faculties. First, you need to choose a classification from the table above by clicking on its code or its icon . 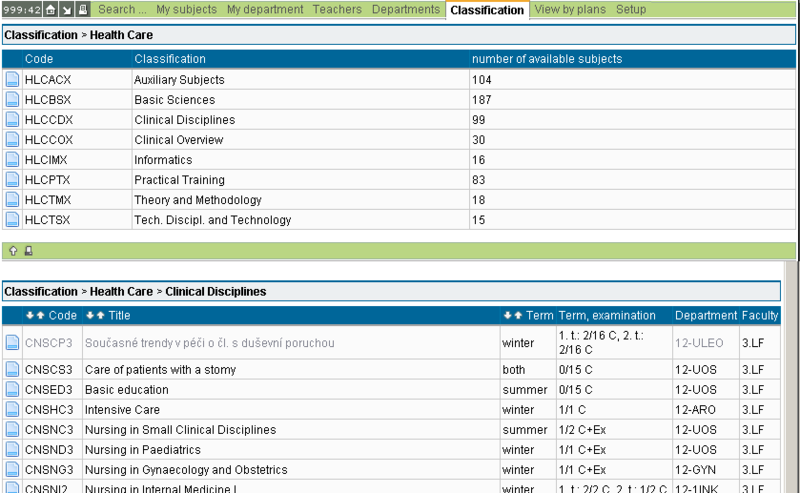 The table can be sorted by the code, by term or by the title of the subject using the icons .